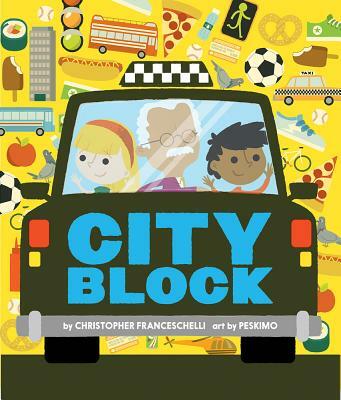 Cityblock explores city life in an exciting and unique way, from up in a high-rise building to down in the subway. Divided into three sections -- things that go, things to see, and things to eat -- it features 24 different aspects of city living. As with the other acclaimed books in the series, die-cut icons hint at the larger context on the next spread. Each section opens with a full city scene but gradually focuses in on the small, unique neighborhoods that make the city large and grand. This clever book will attract young readers living in a metropolis as well as those in the countryside with urban life that pops off each page.